I had never tried Japanese food till a year back. I was introduced to it by a couple of our friends. They introduced me to Sushi, for some reason I had never tried it. But the moment I tried it, I fell in love with it. So when the February Daring Bakers Challenge was to be a Japanese dish I was more than excited to try it out. The reason being that I always end up having just the Sushi when we go out for Japanese food. 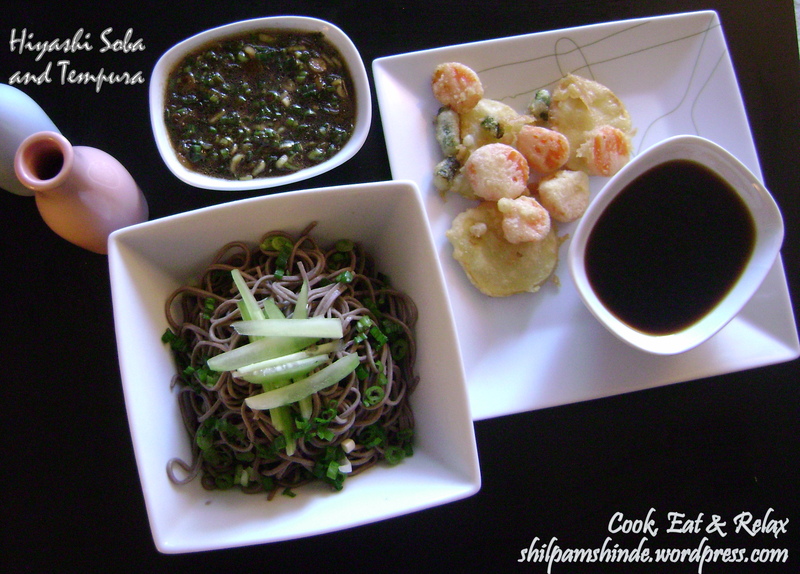 The Cold Soba Salad & Tempura were so tempting that I had to try making it immediately. I made it almost as soon as the challenge was posted on the site. But am late posting it as I was busy making Valentine’s day dinner yesterday. And was too tired at the end of the day cause it was a Monday so I had to go to my Internship which is 40 minutes away and then I went shopping and then made dinner. So it was a long day. 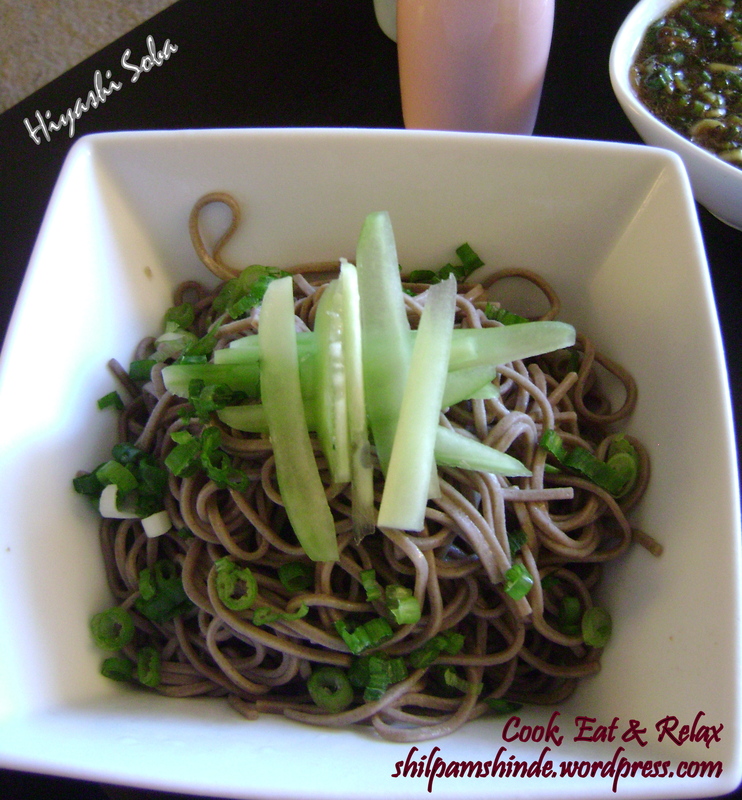 It takes about 35-45 minutes to prepare the Soba and about an hour or less to prepare the Tempura. 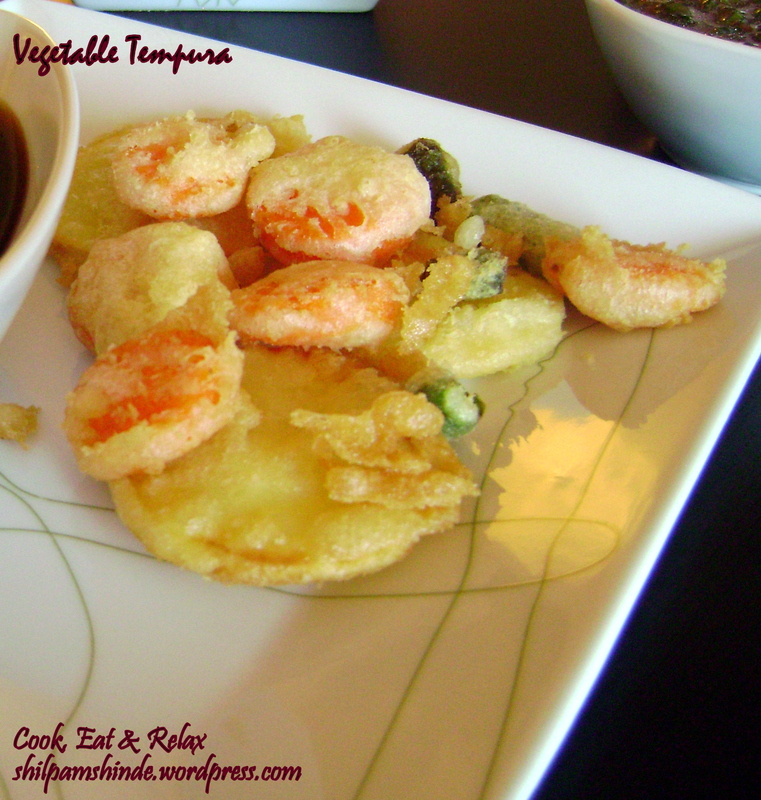 The time you take to prepare the Tempura depends on the amount of Tempura you are making. Thanks Lisa from Blueberry girl, this was an amazing challenge. So easy to make yet delicious and satisfying. Thumbs up for the awesome February challenge… And here’s to another successful daring bakers challenge! I am sorry about the pictures. I was in such a rush to eat that I really messed up the pictures. separate. When the water returns to a full boil, add 1 cup of cold water. Repeat this twice. When the water returns to a full boil, check the noodles for doneness. You want to cook them until they are firm-tender. Do not overcook them. your own. Recipe is HERE.) Or a basic vegetable stock. Traditionally soba is served on a bamboo basket tray, but if you don’t have these, you can simply serve them on a plate or in a bowl. Divide up the noodles, laying them on your serving dishes. Sprinkle each one with nori. 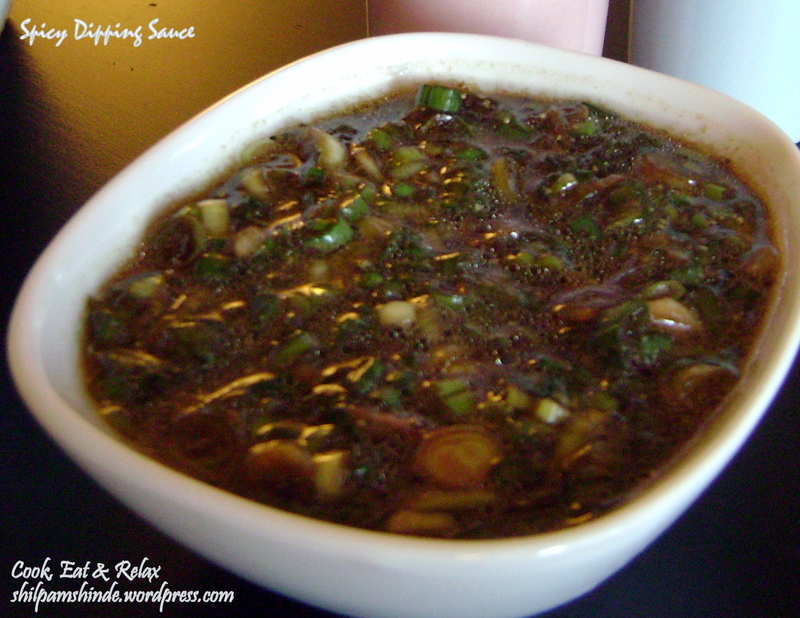 In small side bowl or cup, place 1/2 cup (120 ml) of dipping sauce into each. In separate small side dishes, serve each person a small amount of wasabi, grated daikon, and green onions.The noodles are eaten by sprinkling the desired garnishes into the dipping sauce and eating the noodles by first dipping them into the sauce. Feel free to slurp away! Oishii! 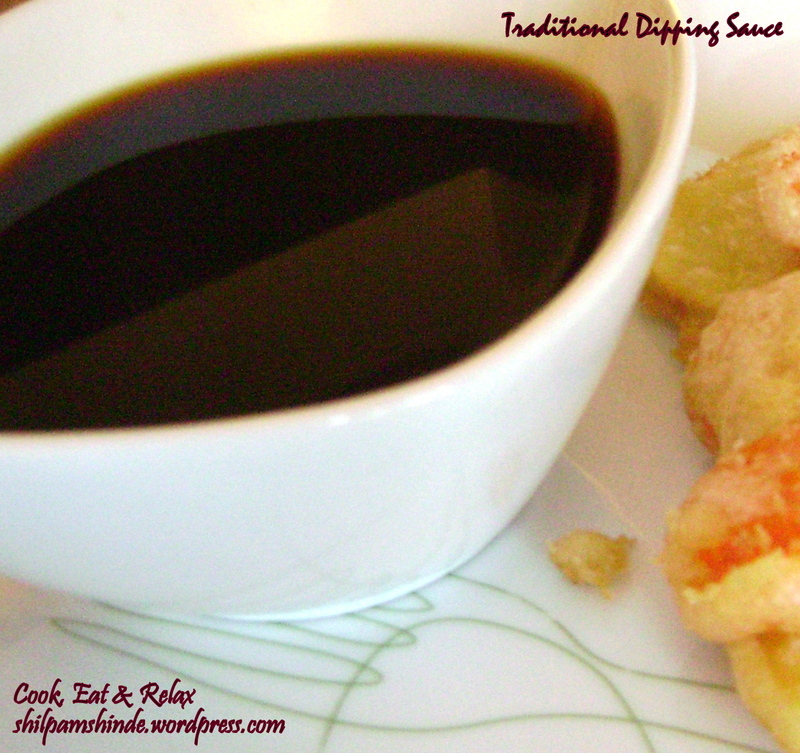 This entry was posted in Main Course and tagged daring cook, dipping sauce, Hiyashi Soba, japanese food, shrimp tempura, soba, spicy dipping sauce, tempura, traditional dipping sauce, vegetable tempura. Bookmark the permalink.